Well, I’ve been fortunate enough to have found some great critique partners and I have paid for manuscript to be edited by someone who offered an editing service. One of my critique partners, Aimee Salter, has an editing service, so today she is going to share some wisdom of the importance of having someone with a writing background look over your work before you send it off to agents and publishers. But she's dishes out some free advice here, as well as on Writing Teen Novels. 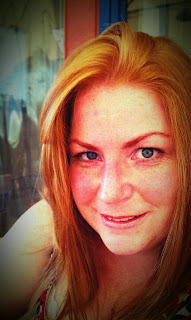 AND, one lucky will be given the chance to win a chapter critique from Aimee on my personal blog Down Under Wonderings. There's also a $15 B&N e-voucher up for grabs. Sharon: Why do you believe it’s important that writers get a professional to look over their manuscript before submitting it to agents or publishers? Aimee: Because without it, it’s very difficult to move your writing talent forward. No matter what level your natural talent, all of us can improve. Without someone who’s studied or professionally experienced, we just don’t realize how much we don’t know. And, on a practical level, since the recession there are more and more people unemployed or under-employed and doing what they can to follow their dream and get published. There’s a literal ocean of options out there for agents and editors. If you aren’t in the top one percent in terms of your premise, your delivery, and your plot, you won’t get a look in. I believe it takes more than one person in the mix to bring any book to its absolute potential. That doesn’t necessarily mean you need to pay someone. But it can be difficult to find people willing and able to critically analyse your entire manuscript without a fee. Sharon: What are three of the most common mistakes you come across when editing manuscripts and how can writers avoid them? Aimee: I should make an important point here: What I do is called “critiquing”. Although it’s a form of editing, it isn’t the same as what you’d experience at a publishing house. As a critiquer (I guess you can call me a professional, because I get paid to do it) my work falls more on the substantive edits side. That means in terms of a publishing model, I’m the early-eyes. I focus on the story arc, character arc, foundational writing, structure and plot. What I do is intended to get the author thinking and make suggestions for improvement. While I will identify ‘clunky’ phrasing, or basic grammar / punctuation errors, my work focuses more on the creative side of story-telling. Critiques are designed to show the writer how a technically skilled reader views the story, the writing, the characters, etc. Not to be confused with an editor who, in the traditional publishing model, anyway, will have a much greater investment in, and influence on your story at every level. Wordiness: An inability to identify the most efficient way to phrase something. It’s a skill that has to be learned by most writers. As far as avoiding this, I think you need to be edited / critiqued by someone whose writing isn’t wordy – allow them to show you how to make your sentences more streamlined, your scenes more focused. Unfortunately, I think a lot of writers confuse instruction with judgement of their creative talent. I say "unfortunately " because I really believe that learning the craft actually unleashes creativity – it equips you to better deliver the vision in your head. Telling: Most novice writers "tell " because they don't actually realize they're doing it. Avoiding this is much harder until you can develop the analytical skill to identify it. But one example I see a lot, that you can specifically look for in your own writing, is a first person point of view character (or third person, limited) telling the reader what's going on in another character's head, or telling the reader how to interpret their body language. Words that often crop up in these moments are "as if ", "seem" in all its variations (seemed to, seemingly, seems), or the name of an emotion (I.e. “Something told me Carl was angry.”). Writers need to learn to trust the reader to gather what's implied in dialogue and body-language. And one personal note: if you remove this kind of telling from your manuscript and the reader can't follow what people are feeling / thinking, the problem is in your showing. So fix that, rather than adding narrative. Implausibility: Of all the things I see in manuscripts, this is the one that bothers me the most (especially when I’m guilty of it, I might add). It ranges from unlikely dialogue right through to plot points that defy sense. The reality is you can do anything in a book. But there has to be a plausible foundation in the world-building, character motivations, and plot. 1. Vital information or item falls into protagonist’s lap via means they didn’t anticipate or fight for. You have to get clever with these situations. More importantly, your protagonist has to get clever. They have to earn the answers, or discover the vital item(s) through intentional pursuit. 2. Character One explains things to Character Two that Character Two already knows – but the reader doesn’t. These conversations often start with something like “I know you know this…” or “I’ve already told you…”. The worst offenders have both characters explaining things they both know to each other, or finishing each other’s thoughts. The only fix is to sprinkle pieces of information into the internal narration (or dialogue) as the book goes along. Don’t try to give the reader everything at once. And definitely don’t try to fill in backstory within the first 25-30 pages. Let the reader get hooked by the current action first. 3. Character makes a decision not to ask a question, or not to follow a lead, or not to explore something which very obviously could provide answers to the story question. I.e. Maddie has just learned she can heal wounds supernaturally. Johnnie mentions that his Grandmother told him stories about people who could do that when she was a child. Instead of asking to talk to the Grandmother, Maddie googles “healers”… Yet at the end of the book, it’s the Grandmother who has all the answers. Alternatively, you can present competing priorities. If you can create two or more seemingly equally important tasks, then the protag is initially forced to follow one and not the other. The protag can choose to follow the lead that will only provide half the answers. In all these cases, if you aren’t sure whether your book / writing / plot falls into implausibility, consider this: If someone reads it and you have to explain the motivation, it probably isn’t sensible. If there is an easier, or more likely solution available that is being ignored, it probably isn’t plausible. If you (the author) have to decide “The Character is just that way” to make a decision make sense… it doesn’t make sense. Sharon: What trends are you seeing in YA novels that you wish aspiring writers would avoid? Aimee: This is a much more subjective question. So I’ll give you my opinion, but there might be many who disagree. My biggest pet-peeve at the moment is “Insta-Love”. You know, seemingly Normal-Girl meets Hawt-Guy and they are inexplicably drawn to each other with such force, neither of them can deny it (though they’ll try really hard – or at least, one of them will). In my opinion it’s been done to death. I’d like to see hot-and-heavy romances that have an actual foundation. SHATTER ME by Tahereh Mafi is a perfect example of what I like. Though the attraction between the two characters is introduced almost immediately, it’s because they have mutual history. It’s a history you don’t learn right away, but it provides a very plausible and much more satisfying beginning to their relationship (in my opinion). Sharon: What book do you wish you had edited and why? Aimee: Definitely the BARELY BREATHING series, by Rebecca Donovan. The books were self-published before they were ready. But the story was compelling in a way that changed my reading habits. Of course, she’s since been picked up by an agent and a publisher’s going to come in and edit the books and make them even more amazing. I wish I’d been with her in the early days to solve those “little” problems you mentioned at the opening of this interview. The books might have picked up an agent even more quickly. In my opinion, good ‘editorial’ advice doesn’t usually involve drastic changes (though it can). It’s usually about simply clearing the way for the reader – removing anything that will either break the read, or slow it down too much. It’s about helping an author let readers fall into their worlds and stories without realizing they’re not real. So YAtopians, what's your editing tips? Sharon M. Johnston is an author and public relations specialist who lives in sunny Queensland, Australia. She has been a Pitch Madness host for the past few years, and is also a Pitch Wars mentor. Her New Adult Sci Fi Romance, DIVIDED: An Open Heart Novel Book 1, is out now with City Owl Press. Thanks, Kelly. Glad to help! Wow, this was such a great post! I hope lots of writers see this one. I had to learn a lot of this stuff the hard way and it's definitely all true. Nice. If I may, I have a question for Aimee -- specifically about using "as if" in a sentence. How would you correct something like this from "tell" to "show"? visible rocked backward as if I had pushed her with my words." In the example you've given, Leigh, I'd change a couple things. First, I'd remove the repeition of 'one' and 'single' which say the same thing. Then I'd change "like a ton of bricks" which is (sorry!) a cliche. I'd find something more personal to your voice and story to use as a metaphor. I'd take out 'visibly' because when you're describing movement, that is implied. Then I'd remove the second half of the second sentence altogether. "That single word hit her like a mid-field tackle. She rocked backward." I hope that's helpful (and I'm very aware that my metaphor may not be appropriate for your book - I was just looking for something out of the box). This is great. Thank you for taking the time to respond. Competition details for new YA forum! Happy Book Birthday to KARMA BITES! Sylvie Frank MG Pitch Contest - WINNERS!